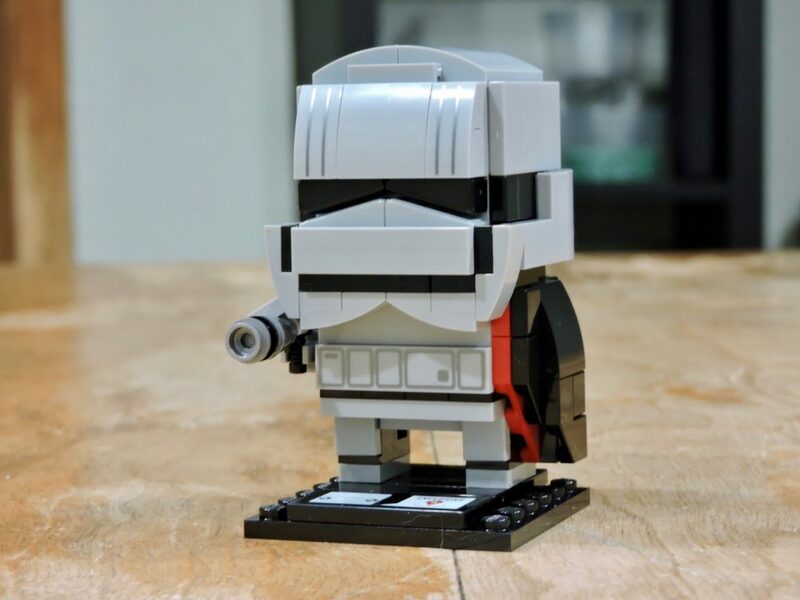 I’ve been a bit conflicted about the BrickHeadz line and they seem to be rather polarizing in the AFOL community. Some of their designs really work for me, I fell in love with this Captain Phasma model the moment I saw it. Then it was just a matter of getting my hands on the set and seeing if it lived up to the pictures. 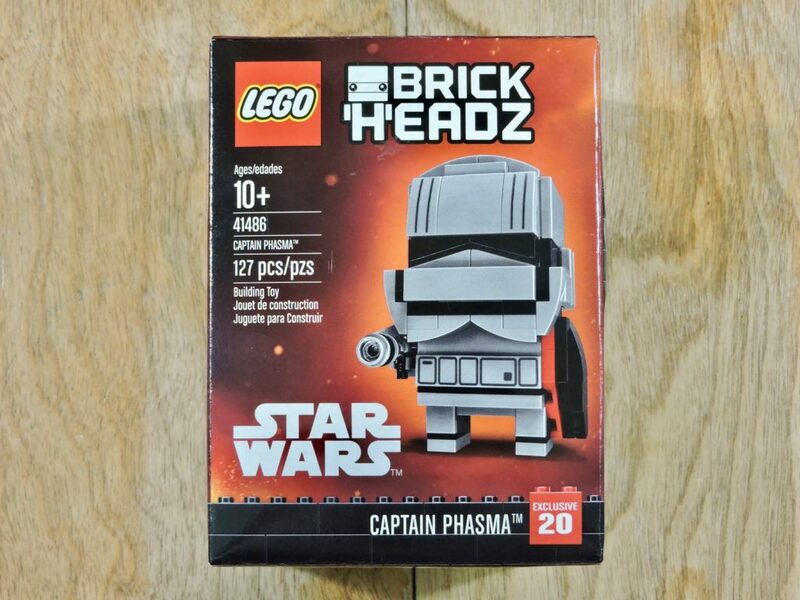 The BrickHeadz packaging is attractive and compact, very much aping way that these kind of collectible caricatures are sold by other companies. The box was full, with two bags of elements, a folded instruction booklet and 6×6 plate for the base. 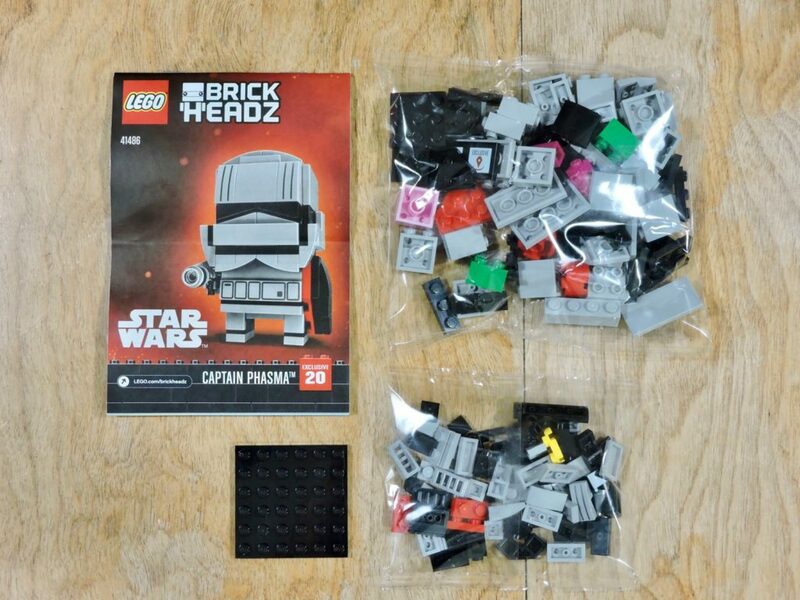 One of the things that I really like about BrickHeadz is the lack of stickers. Some of the models have unique printed elements that would be hard to reuse, but I can easily see that printed tile or the curved slopes getting used in some kind of sci-fi build. 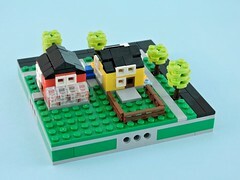 There are also a couple of those new snot bricks in magenta (they’ll be hidden in the model). They’ve only been in a couple sets so far, so I’m happy to get a few. The larger printed tile goes on the stand and I find the labeling a bit arcane. 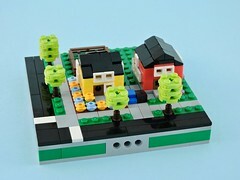 The model was fun to build. There are some fun snot techniques in use to sculpt the helmet and the cape. Not a lot of extra elements. I really like the finished model. The silver metallic printing ties back to Phasma’s chrome armor and the red piping effect on the cape is just perfect. 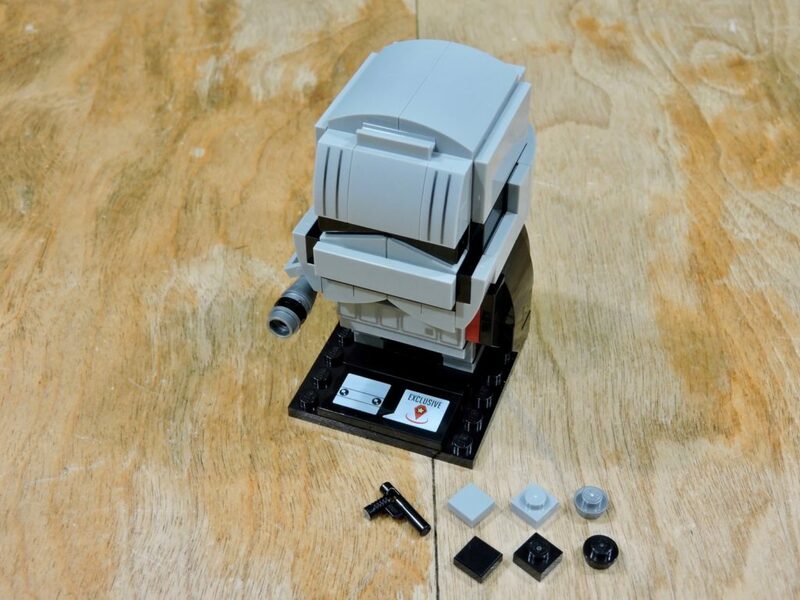 The weakest part of the model is the back of the helmet, where the flat tiles look a bit chunky. If you’re a Captain Phasma fan, the model won’t let you down. She’s already on my display shelf. 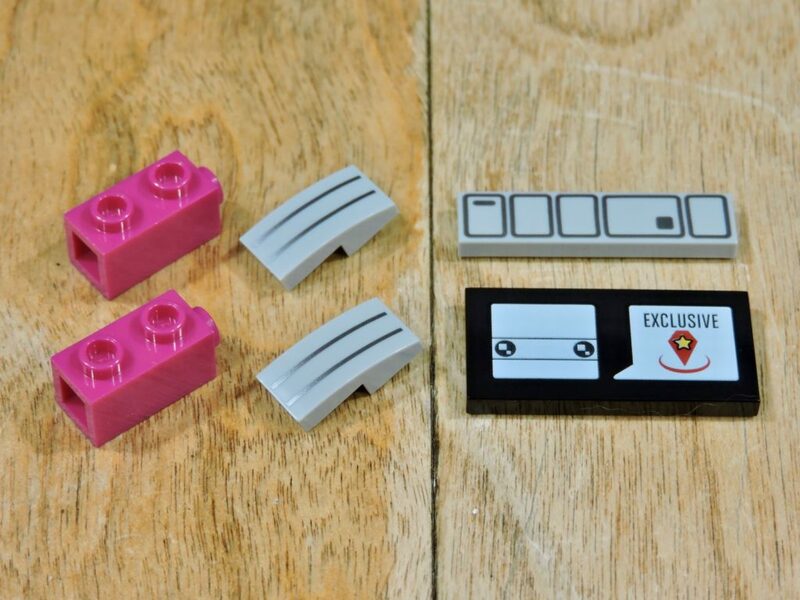 Beyond that, this set is a fine little parts pack (8¢ per piece) with a nice selection of snot bricks, tiles and curved slopes that should especially appeal to space builders.